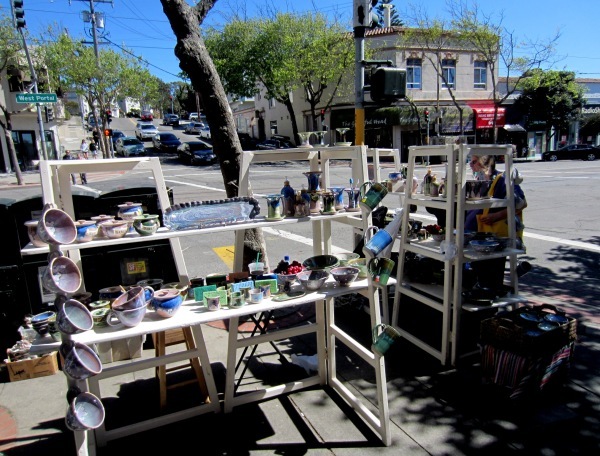 It was a bright blue day in West Portal, and the vendors at the street fair seemed to be getting a response. I got there only an hour or so before it closed, but I was glad I made it. It was as colorful and interesting as usual, and it’s always a pleasure to browse. 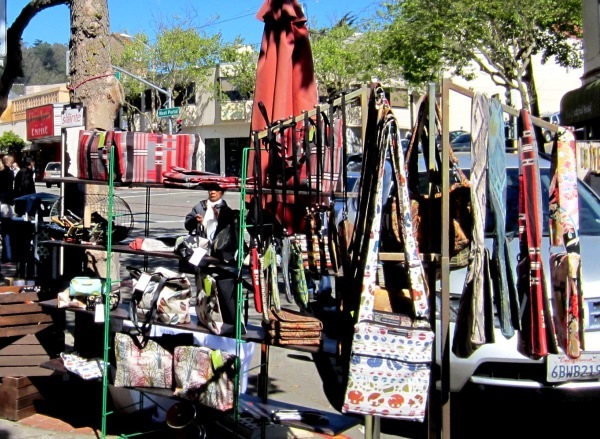 There were the usual unusual things: jewelry designed and made by the people at the stalls, artworks I wished had wall-space for, garments, several stalls with hats and caps, rugs, candles, decorative mirrors with marquetry or metal frames, bags, and ceramics. I took my camera, but forgot to charge the battery, which gave up one block down. I have fewer pictures than in other years (like in 2011, HERE or 2010, HERE). If anyone wants to send me some to fk94131 at yahoo dot com, I’ll happily publish them here. 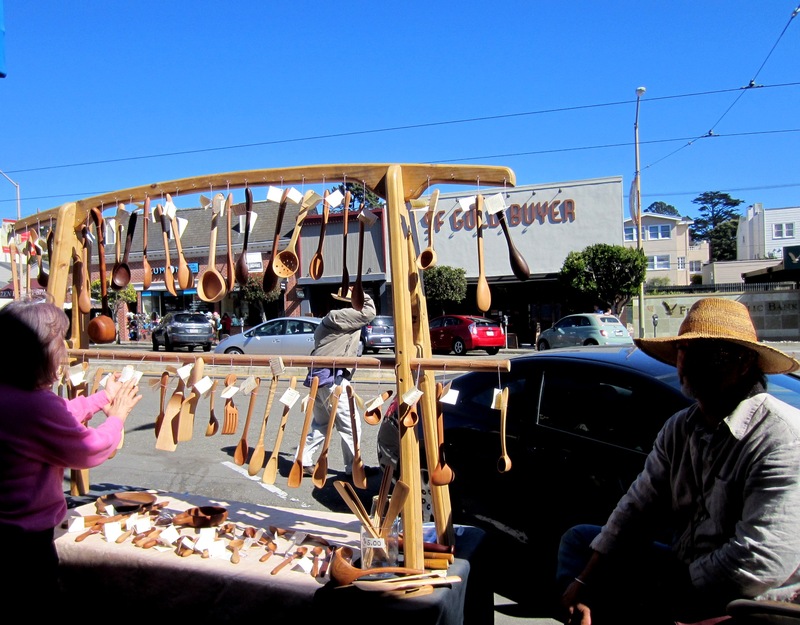 At one stall, beautifully finished hand-made wood utensils caught my eye. They looked very tactile. 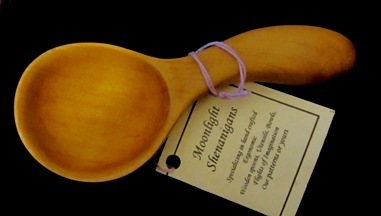 I couldn’t resist; I bought a lovely little coffee scoop of madrone wood, even though I favor instant coffee… and when I got it home, I was delighted by the brand-name: Moonlight Shenanigans. 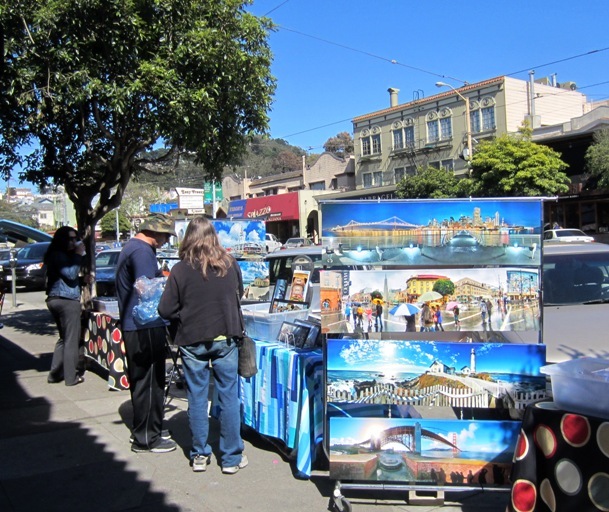 The fine day and the promise of the street fair seemed to have brought out not just the crowds, which was great, but an unusual number of panhandlers. 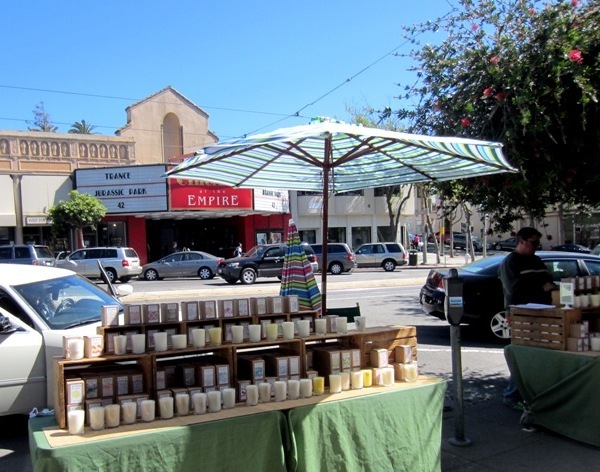 None of them seemed to be West Portal regulars, to whom I admit I do sometimes give. Today I just felt disconcerted and didn’t. 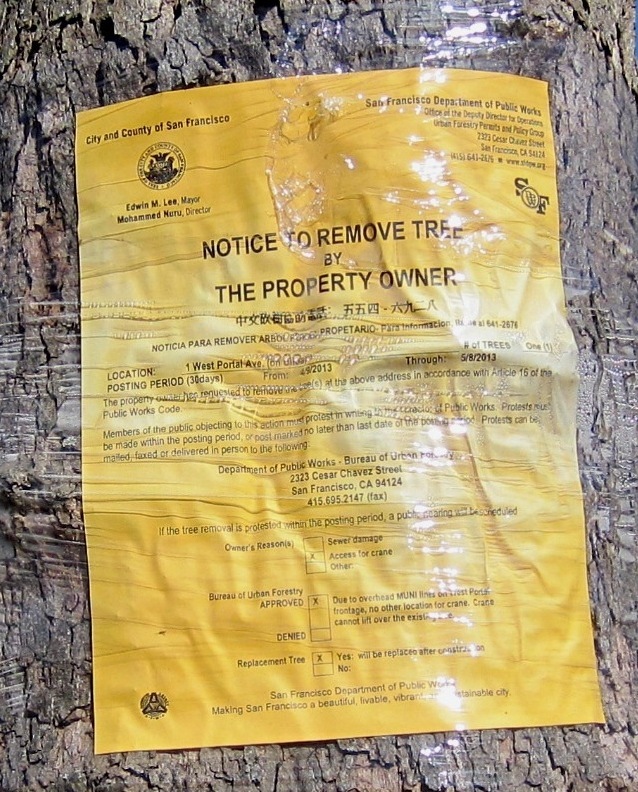 And then, to top it off… removal notices on the two trees on the sidewalk next to the former Squat and Gobble. They survived the fire and the demolition; but now they’ll be demolished anyway, to provide access for cranes. Necessary, but sad. They’re among the few tall trees still left in West Portal. There was a huge and beautiful tree next to the station entrance that was lost in one of the renovations. Gradually, all the tall trees will be gone and the village will have lost something of its character. 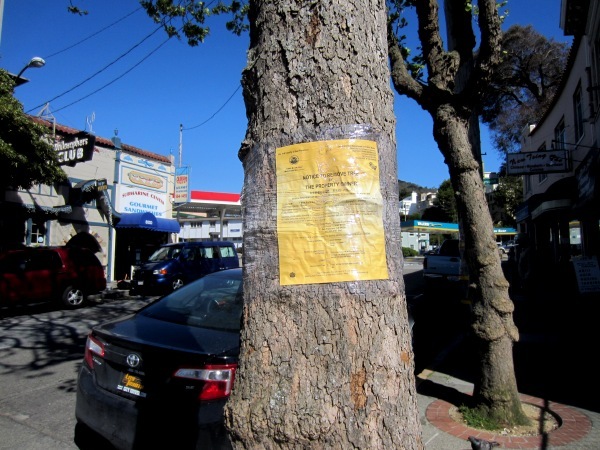 Very nice post but so sad to see even more tree notices in this ‘hood. Jeez – is there no escape?